Megan began running in 2012 in Vietnam with the Hanoi River Runners. At first she stuck to running on the road but once back in Colorado she made the switch to trails. 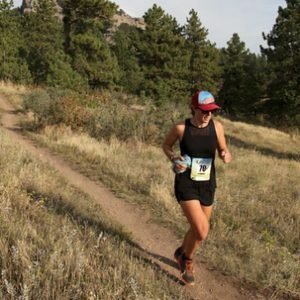 In 2017 Megan ran her first ultra race at the Quad Rock 50. From there she completed the Gnar Slam. Outside of running, Megan can be found teaching P.E. to elementary schoolers and scrambling up Colorado’s peaks.